Craft it Monday with Virginia Fynes! Good morning SCT friends…Happy Monday! 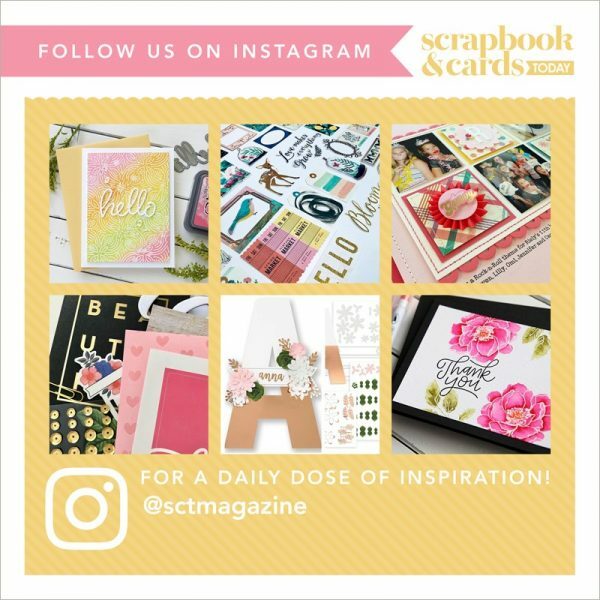 We are excited to share a new category on the SCT blog this year, "Craft It Monday!" With so many crafters, makers and DIY lovers out there, we thought sharing some fun DIY projects throughout the year that you can create at home would offer new options to use your papercrafting supplies! First up is one of our favourite crafters, DIY girl and blogger, Virginia Fynes of Fynes Designs…. "This year I’m trying hard not to go overboard with pink and red so I thought I’d use some untraditional colors so it will last long after February is gone. Buy a 1” x 6” board (pine or spruce) if you get it at the Home Depot they will cut it for you to the proper size. Mine is appox 12” long. Paint desired color using Acrylic craft paint. Using the Silhouette, cut out the free ‘Love Grows Here’ Cut file (download herehttps://www.scrapbookandcards.com/bonus-cutting-files!). Cut the 'Love' out using a double sided adhesive sheet, and ‘grows here’ on a piece of vinyl. Using transfer tape, apply the vinyl to the bottom left of wood. Paint desired color. Remove vinyl stencil and allow to dry. Remove double sided adhesive letters from the yellow backing and place on wood. Remove white paper to reveal the adhesive. Sprinkle generously with glitter. Using your fingertip rub glitter into the adhesive letters to ensure adhesion. Using a clear liquid glue, apply a May Arts Ribbon pom pom border to the outside edge, allow to dry. To hang sign tack a strand of May Arts silk ribbon to the backside with thumbtacks. Can you believe how easy that was?! I used to be so intimidated about making anything with wood, but this is a no tools required project! Go craft my crafty friends!!! Getting to know…DIY expert David Tutera! Craft it Monday: Valentine Treat Box with Shellye McDaniel! Halloween Boo Banner with Aly Dosdall! Craft It Monday – Hostess gifts with Marla Kress! This is a cool project!! Quick and easy yet a great gift for someone special! Thanks for the inspiration Virginia! I am following you on FB and Instagram and my fingers are crossed for the giveaway!! I could really use one of these to capture those everyday moments that are so special just because they happened! Thanks for the chance to! Nice idea! Thanks for the inspiration! BEAUTIFUL sign – LOVE the mint & silver, LOVE the pom poms too!!! Sorry, I would love to enter but I don’t have instagram. Nice project! Would never have thought to do it like that! Cute camera & wonderful Prize, thanks for the chance to win! After seeing this project, I just want to get started making one these frames too. Would love to win this prize. Love taking lots of pictures. Virginia that is one fabulous sign.Love the mint & silver together .Cute camera thanks for the chance to win. Love that I can get so inspired everytime I read the posts. Thank you. wonderful project, well given tutorial & who wouldn’t want to win a PINK CAMERA!!??!! Yes….me!